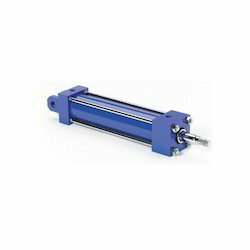 We manufacture superior collection of Hydraulic Cylinder. These cylinders are processed with newest technology latest material along with market norms. These cylinders are given in stipulations as per the genuine needs of customers broadly demanded in the market. Our customers can take these dozer cylinders from us at suitable rates. Customers can avail from us a robust range of High Pressure Gas Cylinders that are used in the gas industry for the storage and transportation of high pressure gases. Considering the excessive and rigorous use of these cylinders in diverse fields like steel plants, we take great care of the quality of our products. We are dealing with Steel Plant High Pressure Cylinder which are primarily used for import substitutions. 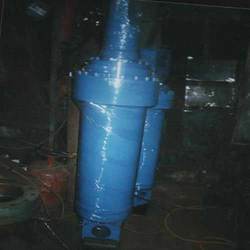 With the assistance of our engineers and technocrats, we are capable in developing and offering one to one replacement of Russian and German make hydraulic cylinders for the curing press, ban bury machine of tyre industries, 4 HI MILL, 6 HI MILL and 20 HI MILL of steel plants. Zhuzhou Cemented Carbide Works Imp & Exp Co.